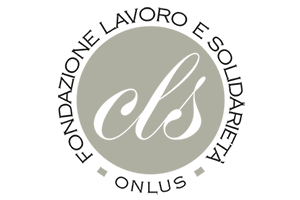 The Foundation intends to promote, sustain and defend charitable works to the benefit of the needy or socially disadvantaged in some way, paying particular attention to psychophysical disability. “Man became the centre of the universe because he’s the only creature made in God’s own image. Everything that man knows or doesn’t know how to do neither adds to nor subtracts something from his immense greatness. The different skills that every man has are part of every person’s limits, and these cannot be the measure of human dignity. Man has the possibility to reach is full potential only if he relates constantly to others, recognising that his own wellbeing is linked to his effective contribution to the wellbeing of the community as a whole. Attention to and action in the presence of difficult situations have to develop dynamically in order to be able to identify the different types of suffering that can emerge over time, in order to elaborate the most adequate responses. The Foundation intends to tackles situations of need or difficulty, engaging specialists in various sectors, where necessary, to identify possible solutions to the problems and plan the steps to take. These activities will be assigned to Social Cooperatives already at work in the various sectors, or to new ones, which will work with the Foundation’s support. The Foundation will guarantee that the Cooperatives’ activities are carried out with the objectives and the spirit of the Foundation itself. 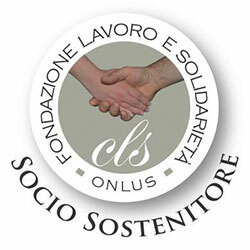 The founders of the CLS Foundation are both physical and juridical persons, and associations (Centro Gulliver scrl, Fondazione Eurojersey and Lions Club Saronno Insubria). The CLS Foundation intends to provide an answer to the many problems of those who are at risk of being cut off by the rest of society and need help to cope with life in everyday situations in which the race against time wants to exclude and eliminate them. The CLS Foundation was created to help those who need to discover their unexpressed potential, preparing them for independence, giving dignity to those who would normally be denied access to employment and offering those forced to endure situations of difficulty and marginalisation. But the CLS Foundation also represents an opportunity for those who want to make their lives more meaningful, giving a little bit more of themselves to contribute to the achievement of these aims, playing an actively charitable role. Taking responsibility for the existing structures (CLS LA, CLS FA, CLS CA), in order to verify and ensure that they achieve their individual goals, and working to provide real solutions to the problems experienced is a hard task, but one which CLS intends to undertake with the spirit with which it was founded; the Cooperative philosophy being the consideration of people with disabilities as other individuals to be flanked in order to achieve things together, work together and travel life’s path together, peer with peer, man with man, regardless of the differences in ability, because the very fact that we are all human means that we all have the same dignity. This is the CLS Foundation’s programme and its accomplishment is linked to the solidarity and attention received from people who want to help at all levels. Joining the CLS Foundation as a Supporter is one of the highest forms of solidarity.